Summer has just ended and before we know it, we’ll be decking the halls for Thanksgiving and Christmas. 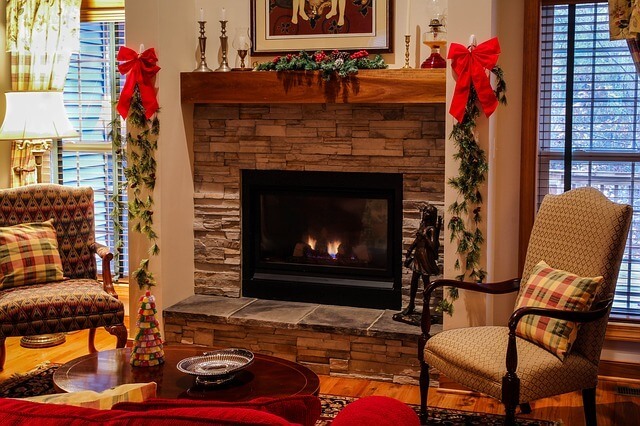 Here are some tips to embrace the wonders of the season without going crazy with clutter, gifts and guests that will take over your home during the busy holiday season. Fall and winter holidays bring with them beautiful decorations and adornments that can add bright pops of color, wonderful scents and new textures to your home. If you are someone that has collected a large amount of decorations you like to display, the key to making rooms look clutter-free during the holidays is to remove and replace your everyday décor with seasonal holiday décor. Use the bins and boxes in which you store your holiday décor to store everyday items you won’t need. Watching kids open their gifts on Christmas mornings and the joy on their faces with the delight of the surprise is a very rewarding part of the holiday. 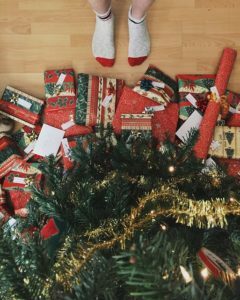 Keep gifts under wraps by hiding them in inconspicuous places in your home you are sure your child hasn’t thought twice about. Areas like parent’s closets, the attic or crawl space can work well. We’ve even heard of people hiding gifts above the ceiling tiles of drop ceilings! Add an extra layer of security by wrapping the gifts before you store them so even if they are found they can’t see what you bought! If you host guests during the holiday season, you’ll want to make sure they feel comfortable in your home by creating a private space for them. If you don’t have the luxury of an extra room, consider having your children share a room for a couple of nights or having a child sleep on the floor of your room. If there is not a room to spare and your guest must stay in an open family room or den without a door, use a tall screen or wall attached clothes line to drape a sheet over as a room divider to give a sense of privacy. Buy an inflatable bed, inexpensive luggage rack and portable garment rack or make room in a spare closet so guests can hang their coat and clothes. If you simply don’t have room in your home or garage or prefer a clutter-free surrounding, consider renting a small storage unit to store your seasonal décor and other infrequently used items. Storage units are also a great place to hide gifts from the kids! EZ Storage in Boston has a variety of small and large units, some that are climate controlled, with three locations in Framingham, Natick and Newton to ensure you have a storage unit that is close to your home and easily accessible.